My name is Jazmin. I am an interactive consultant, specializing in digital product development. In 2010, I co-founded the crowd-funding services (MyBillRegistry and MyClassroomRegistry). From a young age, I was always enthusiastic about "projects". Whether it was a business I wanted to start with the neighborhood kids, or a play I was directing my friends in. There has always been excitement for me in brainstorming, crafting, and executing an idea. Doing so has been no less gratifying in my adult life. In the past 6 years, I have worked with multidisciplinary teams on numerous projects, including online, mobile, and television. 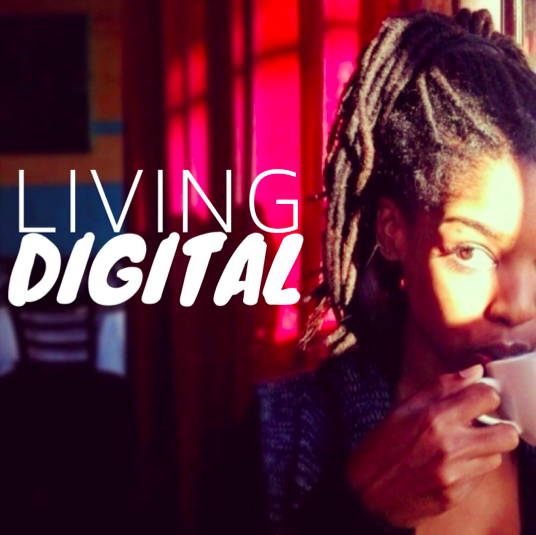 Currently, I host and produce a tech podcast called Living Digital. I wanted a way to engage directly with the interactive community, so Living Digital has become my platform to start conversations around apps, technology, marketing and innovation. Outside of technology and entrepreneurship, I love film, television, and photography. Living Digital is a podcast about apps, technology, marketing and Innovation.